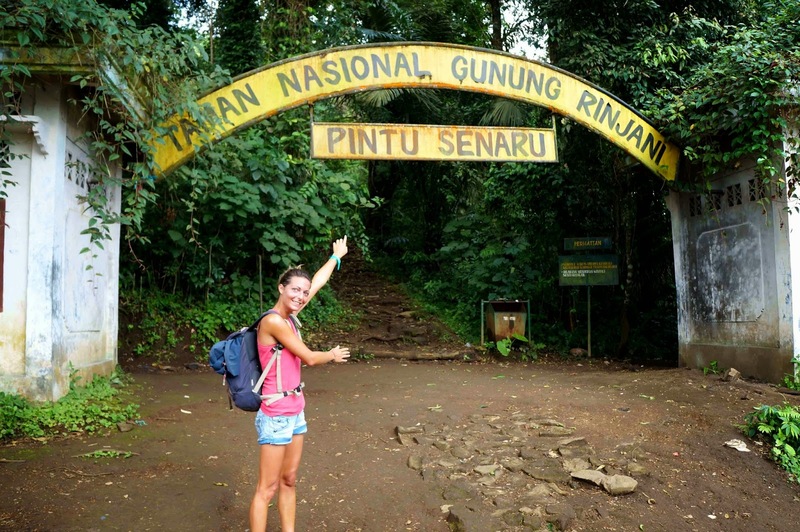 After few days of rest at Gili Island, why do not try a little trekking? 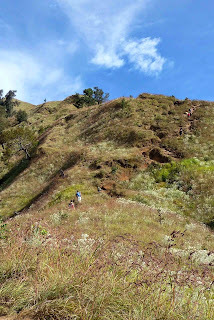 Well, to be honest, my first intention was not to do a challenging activity, but it was the panorama offered by the Rinjani Mountain which made me want to try the experience. 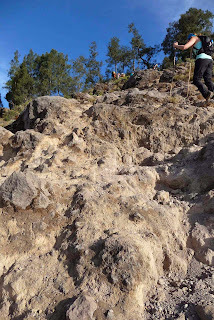 Be careful, for people who do not practice current sport (like me), think twice before embarking you on this trekking which is extremely hard and strain. But if you want to challenge yourself and discover stunning views, let's do it! What a reward when you will get to the summit! 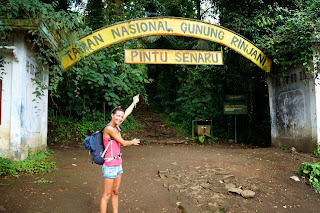 To me, it was the most surprising and experiencing moment in my trip in Indonesia. Definitely the highlight! The trek started from Senaru village around 10 am. For this first day, we climbed around 6 to 7 hours. Right from the start the way up is very hard and it's really hot. Don't lose courage and try to find your pace. 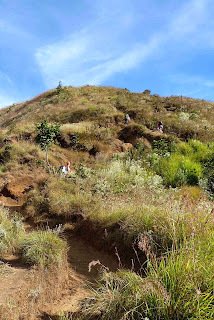 Around 6 pm, exhausted, we reached the campsite - 2600m - Plawangan Senaru crater rim. Our reward: the wonderful view over the lake Segara Anak and amazing landscape. Dinner time! Quite basic, but after a day like this, we just want one thing: go to sleep! After a short but restful night's sleep, we went down to the lake and the hot spring - 2000m. 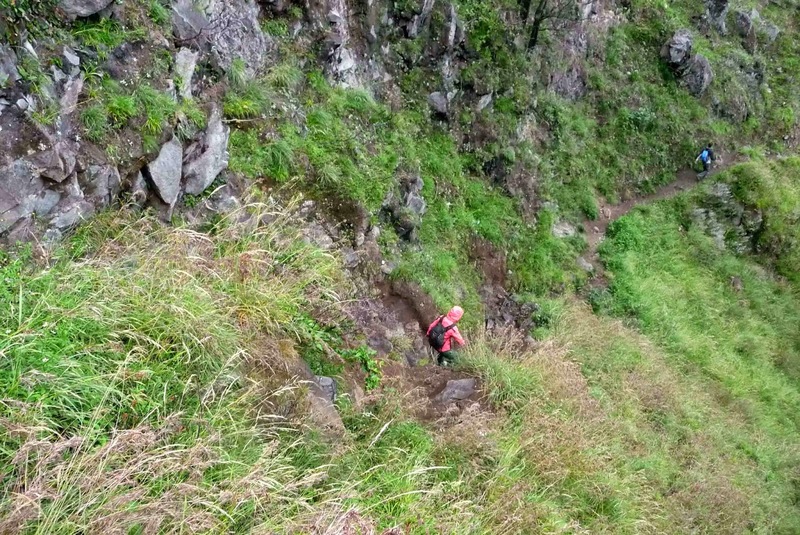 Around 2,5 hours walk, steep down and very slippery (due to the rain) so quite dangerous! But, again, the stunning landscapes make the pain away. After the lake, we climbed till the next campsite. Muscles getting more and more painful but the mental is still here after a quick swim in the hot springs. 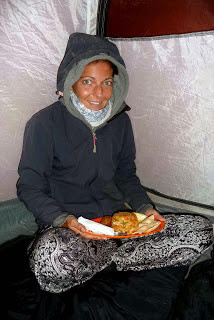 After few hours climb (can not say how many, the lack of air start to be felt), we arrive at the campsite, exhausted! We have to hang on, it is the last part, but also the most challenging of the trek. 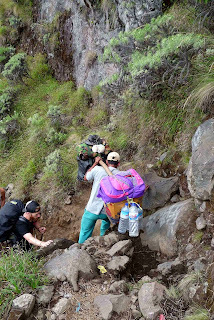 Wake up at 2.00am and start to climb at 2.30am to reach the Mount Rinjani summit - 3726m. Around 3 hours climb to the summit (depends on your pace, bu the idea is to get there before the sun rise - 5.30 or 5.45am). We climb in the dark, we can not make it out, the only light is the light from the headlamp. The is a small light at the summit (like a lighthouse). We can see it from a long-distance, we think we are close, it seems it won't take very long to reach the summit, but no! Even if you keep moving forward toward the light, the distance do not move. And after the stones, it is in the sand to have to climb... and because it is quite steep, when you take 2 steps forward, you slip 1 step back. Never ending!!!!! After a break to recover from this challenging climb, it is time to go down. Here we go again! 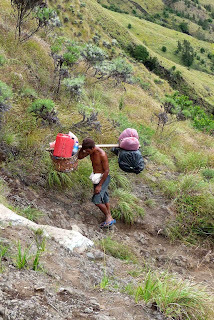 7 to 8 hours walk to reak the end of the trek, at the Semblalun village. From an altitude of 3726m to an altitude of 1100m.